Hand-picking herbs off their stems is a tiresome task. However, you can save time and patience by grabbing that seemingly useless slotted spoon. Simply stick the stem through one of the holes and pull through. The leaves will come off easily and will remain in the spoon. 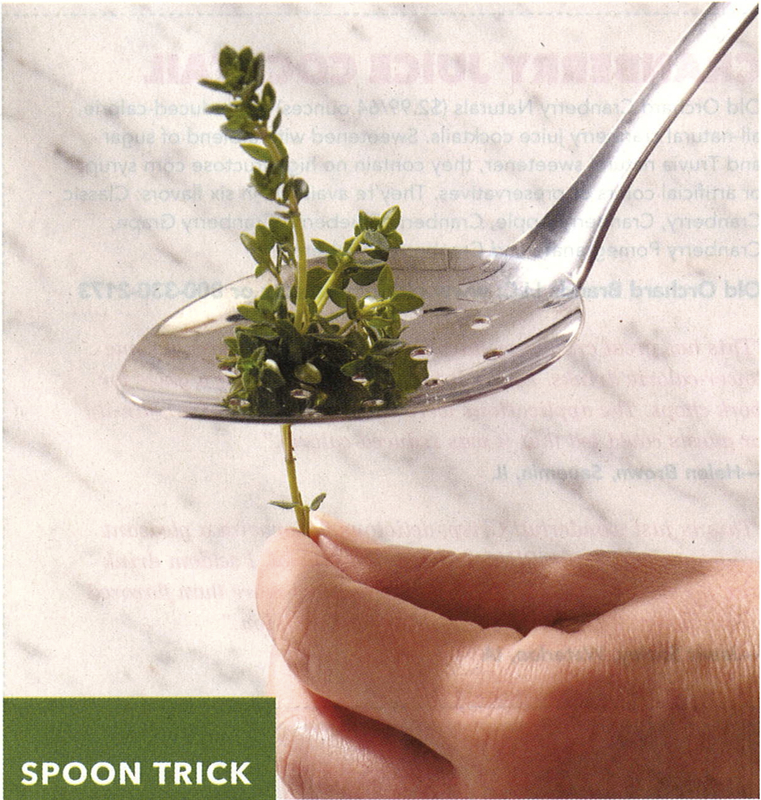 This works great with thyme and oregano.